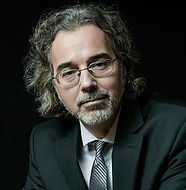 Richard hosts a weekly radio show, The Richard Dolan Show, on KGRA radio, is a frequent guest on Coast-to-Coast AM. He is currently featured on several television series and documentaries, including Ancient Aliens, Hangar One: The UFO Files and Close Encounters. But for the past two decades, Richard has been a dedicated student of all things related to UFOs, steadily expanding his interests within that topic from his initial focus on government documents and the cover-up. Now his interests include it all, from the deepest aspects of the cover-up, to contact and abduction, the science behind the phenomenon, how the phenomenon has affected world culture, his theory of a breakaway civilization, the possible relationship of artificial intelligence and biotechnology to the UFO phenomenon, and the implications of the end of secrecy, that is, the world After Disclosure. In addition to his research, Richard’s company, Richard Dolan Press, actively publishes innovativebooks by authors from around the world. His website is richarddolanpress.com.